Europe’s Thomas Cook Group is reviewing the future of its airline, with all options including a sale under consideration. The tour operator said its strategy for Thomas Cook Airlines has been to grow it “as a leading European leisure airline with a reliable, customer-focused service,” but despite delivering strong growth in 2018, summer season bookings for 2019 are down on the previous year. For the first quarter, Thomas Cook Group increased overall revenue by 1 percent to GBP£1.66 billion (USD$2.15 billion), but reported an underlying operating loss of £60 million, up £14 million on the previous year’s quarter. It said it is addressing some of the challenges it faced during the 2018 summer season by reducing airline capacity and increasing its focus on higher margin hotels and destinations, while reducing costs. “We’ve made further good progress in transforming our business with a rigorous focus on managing our cost base while innovating to deliver high-quality holidays for our customers,” chief executive Peter Fankhauser said. 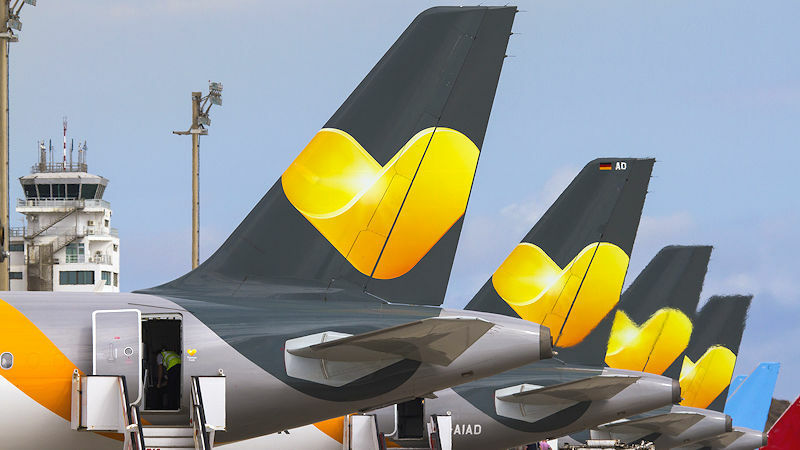 Thomas Cook Airlines operates a fleet of 103 aircraft, carrying over 20 million passengers in 2018, and generating £3.5 billion in revenue. The airline’s underlying operating profits grew 37 percent year-on-year to £129 million.